Want to experience the thrill of traveling to multiple destinations? But looking for ongoing entertainment and relaxation along the way? 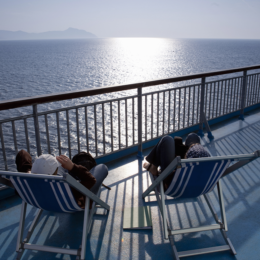 A cruise can be the ideal solution. Whether your destination is the warmth of the Caribbean or the icy glaciers of Alaska, cruise vacations can be the experience of a lifetime. You can choose cruise vacation packages from prominent companies like Carnival, Norwegian, Holland-America, Royal Caribbean or Princess. Each one offers different variations in terms of cost and luxury. That’s where it pays to figure out your priorities… so you can decide how much you’ll really pay for a cruise. 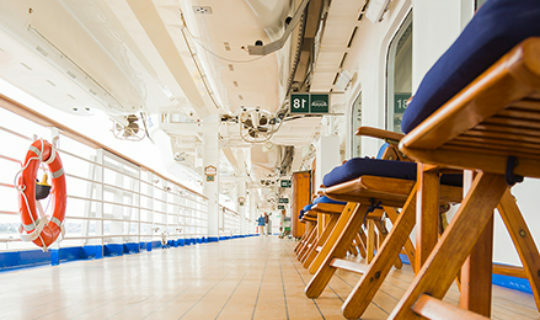 Of course, the first item to consider is cruise cost. Some early bird rates are available around 18 months in advance1 so it pays to plan ahead when considering a cruise vacation. Then there are costs once you’re aboard the cruise. Many cruise lines advertise all-inclusive cruise vacations. But you need to be fully aware of exactly what’s included. Will you pay extra for transportation from your hotel to the cruise ship? Will adult beverages be charged as an additional expense? Are spa treatments, port of call excursions or gym fees extra? Should you pay extra for a better view? Opinions are mixed. Some travel experts say that you won’t be spending much time in your room so why pay extra for a view you’ll hardly see? Others counter that it’s your dream vacation so you should spend a bit extra for views that can create memories of a lifetime. When you consider the overall cost of a cruise vacation, some consider upgrading to a better view as a comparatively minor expense. So stepping up to a better room can be an affordable way to turn your cruise into an unforgettable vacation. Cruise vacations generally require a deposit with the complete fare paid prior to getting on board. Once you’ve added up your anticipated costs, you can develop a plan to pay for a cruise. 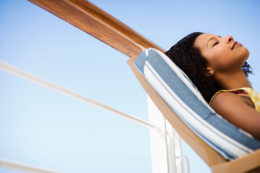 One of the most popular cruise financing options is a personal loan. Personal loans from lenders like Discover give you the advantage of fixed rates, and you could pay less in interest when compared to putting the bills for your cruise on a higher-interest credit card. With flexible payment options ranging from 36 to 84 months, you can pay for the cruise of your dreams at a monthly payment you can afford. Plus, Discover Personal Loans do not charge prepayment penalties – so you’re free to pay off your loan early if you’d like. The last thing you should be thinking about on vacation is money. You’ve set aside the time, worked incredibly hard, and now it’s time to enjoy some rest and relaxation. A cruise vacation can give you the best of both worlds – exotic ports of call while you’re pampered on board. And paying for your cruise can be easy as well. Setting up a personal loan gives you the dependability of a fixed monthly payment that stays the same. Plus, because you choose the payment timeline, you can set up a monthly payment that easily fits into your current financial situation. Why wait to create vacation memories that will last a lifetime? Pairing a cruise vacation with a personal loan can be a financially-smart way to get the best of both worlds.